Is 2013 half gone already? We can hardly believe it. Thankfully the last six months have been highly productive for the LEI team. As you can see we have made some updates to our website and we hope that you will find them more aesthetically pleasing and easier to navigate. Since our last update we have continued improving our current projects and even added two new ones! LEI has recently partnered with Living Positive Kenya to enhance the Day Care Center supporting more than 120 children living in Ngong’s largest slum. The facilities at the moment are subpar and not conducive to healthy play time nor learning. LEI’s goal is to help provide a new class room for the Day Care Center and help maintain a positive physical environment for the children to grow in. We are pleased to say we have also helped initiate a project to rehabilitate a group of about 20 Street Boys in the slum of Mathare. Through informal education, mentoring, sports and music therapy our hopes are to eventually reintegrate the boys back into the proper education system. In the last two months LEI team member Portia has returned to Kenya to monitor and work with our current projects, and LEI Director Ben has returned home temporarily to fund raise for our newest projects and visit his family and friends before making a quick return back to Ngong before the end of August. While our organization continues to grow we promise to maintain better attentiveness to our blog and our Facebook page alike. If you haven’t already liked our page please do so to receive frequent updates of our projects and photos of (not that we are biased) some of the sweetest kids in Kenya! Thanks to countless donors, past volunteers, friends, family, and the local community, Faraja was able to celebrate Christmas in a way they only once could have dreamed of. In addition to a huge feast, each child received a new pair of shoes, new clothes, a school backpack, and school supplies. The "big gift" was an industrial sized washing machine, meaning the children and staff will never again have to wash clothes by hand! Dozens of guests attended the event, offering food, gifts, and donations. Everyone had a great time and left with very full stomachs (two goats, nine chickens, and a LOT of fruits, cake, and candy will do that to a person). Thank you to everyone who donated this past year, and to everyone who donated to make Faraja's Christmas so special! For more pictures of the event, check out the photo album here. The Dining Hall at Faraja is complete! The kids broke it in with a huge feast on the second Faraja Fun Day. Now, instead of eating their meals on the ground outside, they eat together at the table as a family. The children and Momma Moraa are ecstatic and very grateful. The table also provides the children with a place to study and work comfortably. We added a blackboard which will assist with educational lessons while also giving the kids a place to write, draw, and play. We are still making a lot of improvements at Faraja Children’s Home! The newly painted walls, both inside and outside, make the home brighter, friendlier, and more child-friendly. The kids love the new look. Last week we completed the gutter system on the home and purchased two new five thousand liter tanks that have been placed on both sides of the home. After a week of rain the tanks should fill completely providing the home with free water! The dining area (mentioned in the previous post) is nearly finished, meaning the kids will soon have a table to eat at rather than sitting on the ground during mealtime. This week we are also reforming the bumpy rocky yard by leveling the front and back as well as planting new grass. Thanks to all of your contributions and support, we are now able to provide the children with things they desperately need, but could not previously afford. One of the children, Nancy, has been suffering from severe hearing problems for many months, and was prescribed hearing aids in both ears. Ten months ago, Momma Moraa couldn’t possibly have imagined being able to afford such expensive equipment. However, as of this week Nancy has been equipped with hearing aids and they have been quite the success. Her excitement with the equipment has been a joy to watch and, with the ability to hear, she is making rapid improvements in school! One of the things we are most proud of is how well the children are eating these days. With the new menu in place the children are receiving a proper diet which has helped to ensure the children are getting all their essential vitamins and nutrients. Previously the home lacked funds for a balanced diet causing the children to eat rice and beans nearly every day. Now, they enjoy three balanced meals a day; meat twice a week, fish once a week, as well as a variety of fruits and vegetables. Since we created this new menu, we have noticed a significant improvement in the children's health, attitudes, and performance in school. The photo on the left is of the bathroom, and next to it, the new outdoor kitchen and dining area. You can also see one of the two 5,000 liter tanks attached to the newly repaired gutters. As it is now the rainy season, we are receiving plenty of free water! As a special treat to the children, and in conjunction with our goal of making the home more child-friendly, we have recently constructed a swing set and slide. The children are thrilled about this new addition and we feel it is well deserved. We will post photos of these new additions very soon! 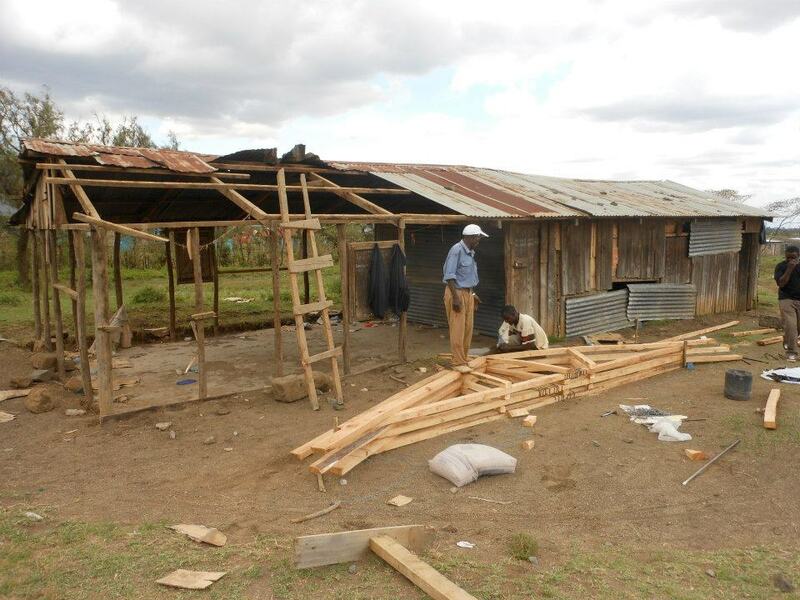 Since our last update, we have been doing a lot of work at Faraja Children’s Home and the Longonot Education Center. We have been working on many home improvements at Faraja to make the home more child-friendly, as well as restructuring the administration to make management of the home easier. Our hope is that donors will see how efficiently Faraja can spend money, and how necessary additional funding is to the home and the lives of the children. In addition to painting the interior and exterior of the home, we have been working to improve the general landscape and appearance of the home. Instead of laundry hung randomly throughout the yard, we built an area specifically for clothes to be washed and hung to dry. We have painted the study room with child-friendly colors, numbers, shapes, and cartoons, all conducive to learning. Soon we will construct new bookshelves, to replace the existing two that are falling apart. The old library and storage room has been transformed into an office, where there is a computer, meeting table, and a place for all of the accounts, records and paperwork to be stored in an organized manner. Unfortunately, a few months ago all of the chickens died from an unknown disease. Despite the loss, we have taken the opportunity to replace the chicken coop with a dining area for the children. Currently the children eat outside on the ground, as there is not enough table space for them eat at. With the new dining area, they will have a table long enough for all of the children to sit at and enjoy their meals together in a covered weather resistant environment. We are planning to start this project within the next two weeks. One of the previous volunteers at Faraja, Portia Duke, who is in Kenya with Ben now, has joined our LEI team! She will be actively fundraising for Faraja when she returns home in October, and has currently been working on creating comprehensive profiles of all of the children. She is working with us to create a sponsorship program that we hope to start in the very near future. 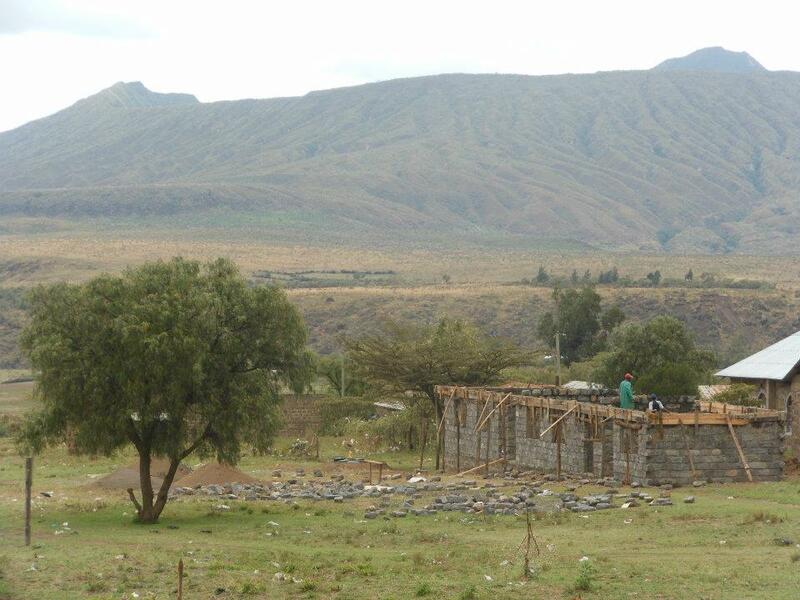 The Longonot Education Center is completely finished! The children are now learning in a very safe and healthy environment. They continue to receive lunch every day, and have plenty of school supplies. Along with the help of the current teachers we are looking for two new teachers with up-to-date teaching styles and fresh ideas to implement in the school. Next week, Simon and Ben, along with Teacher Mary and Teacher Jane, will interview a few candidates for the position. We will make it a point to update our blog on a much more frequent basis, as we want all of our donors and supporters to know exactly what is going on! Pictures coming soon! 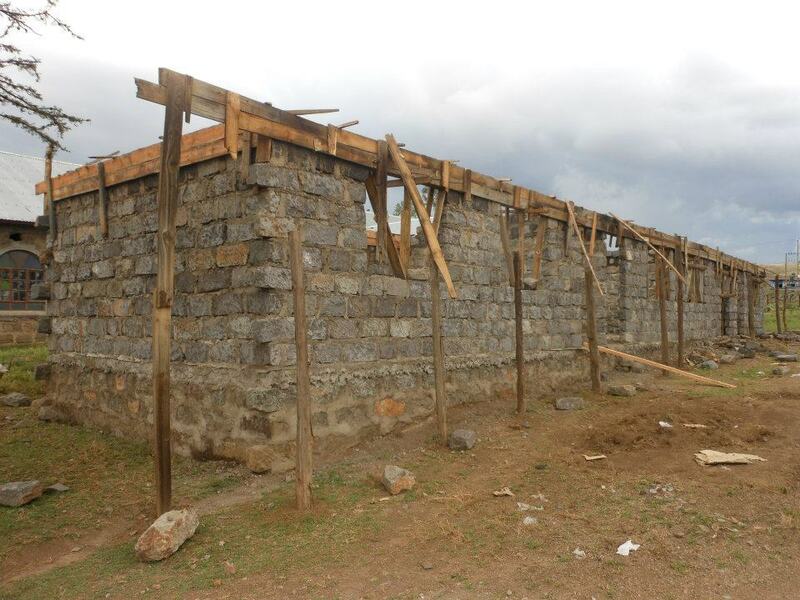 More Progress at Longonot Education Center! As you can see, the new school was recently painted both inside and out. The teachers and students are thrilled with the new look! The school is now stocked with new tables, chairs, exercise books, pencils, art supplies, and soccer balls. The lunch program is still going strong, and the students are reportedly doing very well in class! We couldn't be happier with the progress the children have made so far. We are currently working with Teacher Mary and Teacher Jane to find a new full-time, recently-graduated teacher to assist with new lesson plans and teaching the children in the older class. With just over 50 students currently enrolled at the school, both teachers are excited by the prospect of some extra help! 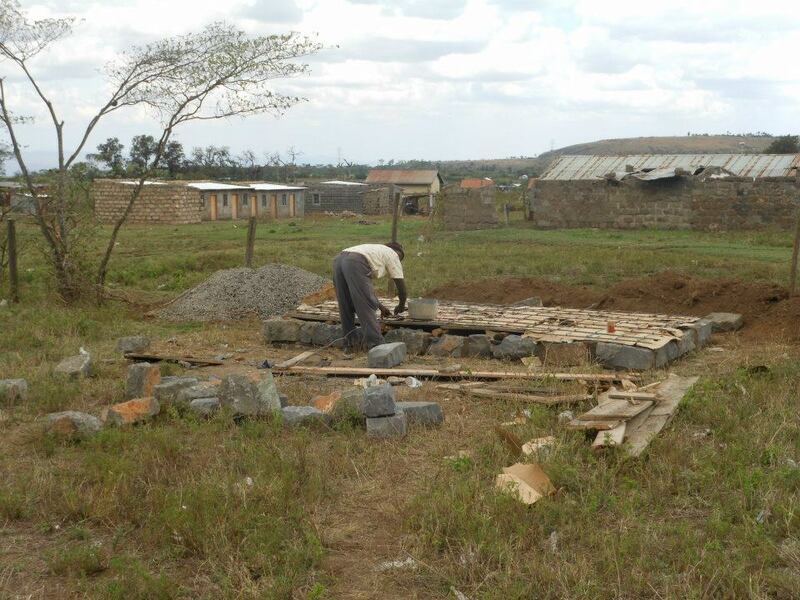 The construction of the school seems to have sparked a new kind of positive energy in the community of Longonot. Parents of students are becoming more involved with the school, and plans to build a new community center nearby are underway. We are very happy to see that our efforts have helped the community to this extent. We look forward to seeing more improvements and development projects in the near future! The New School is Finished! This photo was taken a few weeks ago, when the school was nearly finished. Since then, the windows and doors have been painted and the choo (toilets) have been completed. We have purchased new chairs and tables for the children, as well as new desks for the teachers. We have also bought new school supplies for all of the students and continue to maintain the daily lunch program. Liana Leyrer is returning to Kenya in June and will continue to improve the interior of the school and focusing on improving the quality of education. She will be able to update us with new pictures of the school very soon! The "Opening Ceremony" was celebrated by bringing together all of the children and their families, the teachers, and a few other community members. Teacher Jane announced the official opening of the school to everyone in attendance by cutting the ribbon in front of the two classrooms. After a lot of singing and dancing, the ceremony concluded with the children and their families planting 43 new trees surrounding the school's compound. The children and their parents, the teachers, and all of us here at Longonot Education would like to thank each and every person who donated and made all of this possible. Thank you so much! In an effort to improve the sustainability of Faraja Children's Home, we built a cow shed and purchased two dairy cows, named Ocean and Stella! Both are pregnant, high-grade Friesian cows and each are currently producing milk. While some milk is set aside for the children to drink, the majority of the milk is sold for profit.